I also just read A Marriage of Inconvenience this weekend, and loved it. 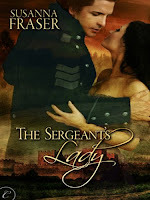 Because I'd already read The Sergeant's Lady, I loved seeing Anna's prequel story in this book, but I think it confused other readers who were wondering why she was such a big part of the story. Aside from that, I also read a humorous self-pubbed paranormal book called These Hellish Happenings by Jennifer Rainey that was quite good. Self-pubbed books can go either way, but I definitely recommend this one. I don't know how you get so much done every week! JenM, thanks for the recommendation, I'll check out the book by Rainey. :) RE: A Marriage of Inconvenience by Fraser, I also enjoyed Lucy's story. I'm really glad I read it first though and THEN read The Sergeant's Lady. The whole story (Anna's) just seemed to flow so well when read that way for me. Oh Lori! I know what you mean about that book. You need to read A Marriage of Inconvenience. It's Lucy's story, but the prequel to Anna's story (with Sebastian) is there too. All details. You need to read it. YAH for historical romances! I'm still in a PNR/UF funk, but...am hoping Magic Slays pulls me out of it. Looks like I need to read Susan Fraser after hearing so many good things about her writing. You had a great week - April looks to be a very good month for you! I'm finally getting back into Kresley Cole's IAD series. Took a break after Kiss of a Demon King didn't work for me. 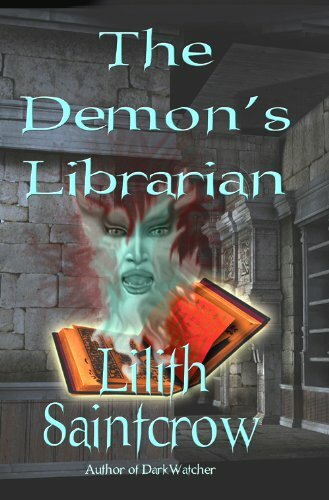 Now back to enjoying the series again with Pleasures of a Dark Prince & Demon from the Dark. Orannia, yes! I feel better now that I can read my historicals again. :D I'm still NOT reading PNR, except for a very few series that I still follow. Leslie, definitely give Fraser a shot. I think you'll enjoy her writing and the books. I'm shocked at how well my April reading is going, and relieved! I missed my reading. I'm so glad you enjoyed Pleasures of a Dark Prince and Demon from the Dark. I need to get to that last book! The one series I need to catch up on is the Ione series... can't believe I fell behind.